Through the 20th century airports grew to become major trade, commercial, transport, tourism, employment and people hubs of the world. In the 21st century the airport promises to be a new core of global and regional connectedness. Airports have, however, significant impacts on the social, physical and economic environment. In particular, concerns around noise and environmental pollution are on the minds of many people in airport affected communities. Yet airports also have the potential to contribute to improvements in environments for health. They may well support enhanced sustainability and resilience; they potentially create high quality jobs and better education; they attract top quality catering industries and food systems; innovation industries like to be close to global transport hubs; and interconnected multi-modal transport contribute to population health. 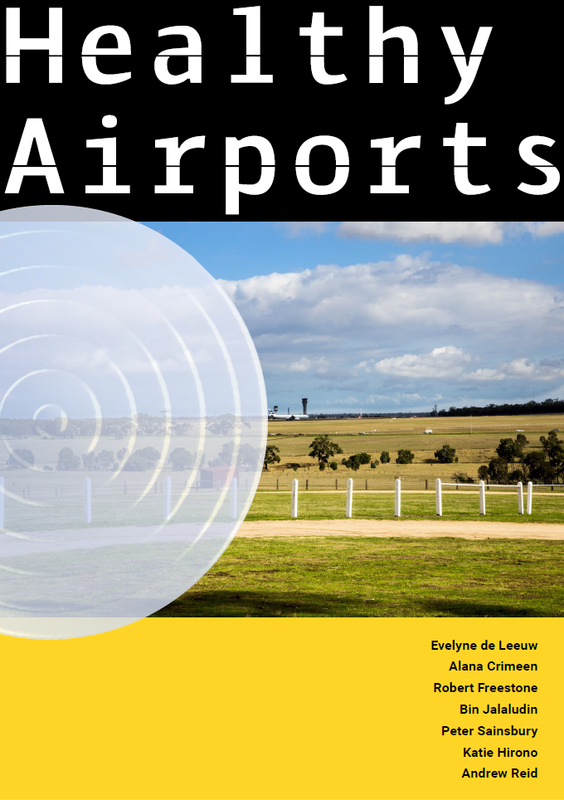 Given development of the new Western Sydney Airport, this is why the Centre for Health Equity Training, Research and Evaluation (CHETRE – a research hub with UNSW and an intelligence unit in the South Western Sydney Local Health District’s Population Health Division) was charged with the development of a Healthy Airport Region vision. The report “Healthy Airport Regions-A Conceptual Framework” identifies twelve dimensions across seven geospatial levels to drive the development of airports as ”engines of health”. It explicitly embraces World Health Organization thinking around ”Healthy Settings” and ”Social Determinants of Health”. Such thinking requires full engagement of all stakeholders, but explicitly communities such as travellers, visitors, fly-in-fly-out staff, local communities, stationary workers and aviation personnel. This paper sees these groups as associated with a Healthy Airport impact and influence that extend far beyond the visual horizon. Infrastructure and Regional Development (DIRD) who oversees the approval process of development plans for the airport. Community engagement is an ongoing component of airport operations and it is expected that the airport developer will need to employ stakeholder engagement related to future planning and operations. 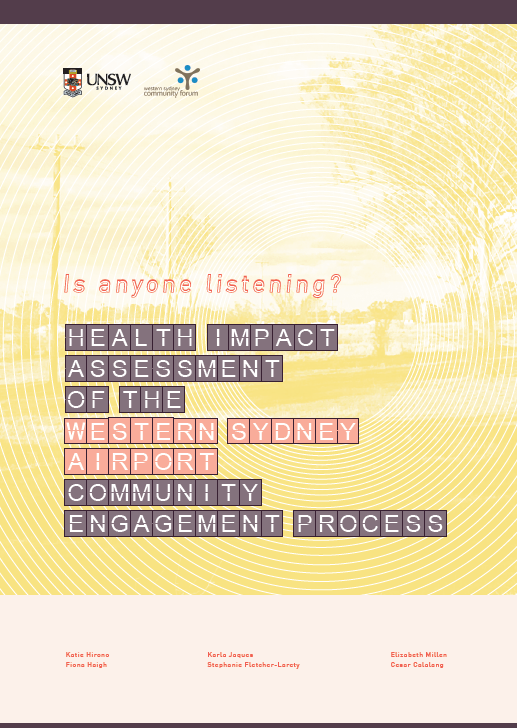 Between May and June of 2016, the HIA Team, with assistance from Western Sydney Community Forum, conducted five community workshops in communities that were likely to be affected by the airport development: Blacktown, Bringelly, Cabramatta, Lawson, and Oran Park. Over the same months there was also an online survey publicly available to enable contributions from the people who were unable to attend the workshops. 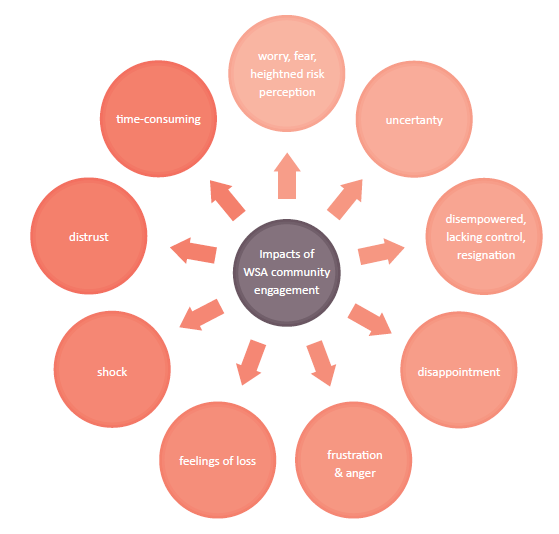 members identified a range of impacts resulting from the engagement process.